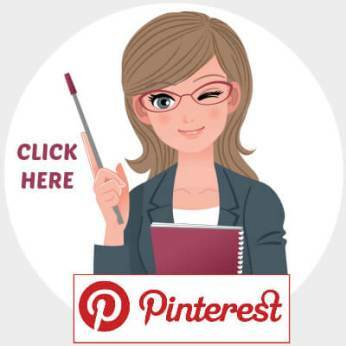 On my 6 different October and Halloween pages, you will find fun, unique, and creative teaching resources for English and Math, as well as powerpoint activities, bulletin board displays, and creative writing printable worksheets. Many of these Halloween teaching resources can be used any time of the year, but they are lesson plans that I have traditionally used during October. Students can write scary stories any time of the year, or solve math problems with pumpkins on them during the entire season of autumn. If you are looking for lesson plan ideas for Fall and Autumn, you should also check out my November and Thanksgiving teaching resources pages, as those pages contain many lesson plan ideas that contain leaves and Fall themes. 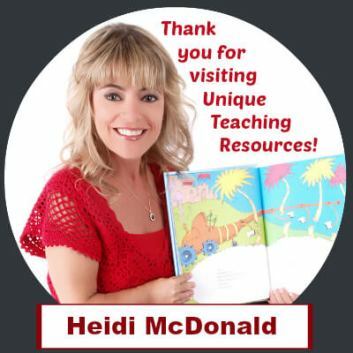 I hope that you will find some ideas for Halloween lesson plans on the following pages that will save you time in preparing your lessons and engage your students in learning! Take your time and look through the various Halloween teaching resources pages that I have created by clicking on one of the tags below. Click on the tags below to view the different categories of Halloween teaching resources that are available on this website. To read more detailed information about the types of Halloween teaching resources that you will find on the above pages, please see the short descriptions found below. 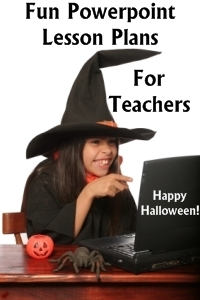 On my Halloween powerpoint lesson plans page, you will find English and math powerpoint lesson plans. 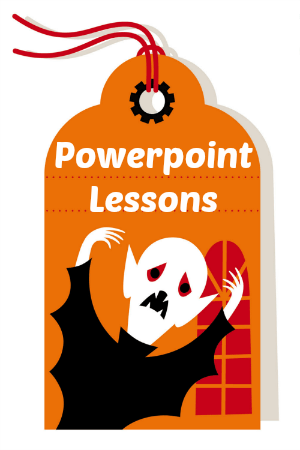 If you want a quiet classroom and students who are bored with traditional drill and practice, do not use these Halloween powerpoint lessons with your students. Your students will laugh out loud when they see these funny Halloween animations, sentences, and word problems. I have designed my powerpoint presentations to be engaging to students and they contain colorful Halloween backgrounds and attention grabbing animations. On my Halloween powerpoint page, you will find videos that you can watch that demonstrate each of my October powerpoint presentations. 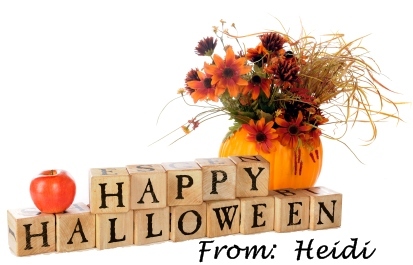 Click here to go to Halloween powerpoint lesson plans page. 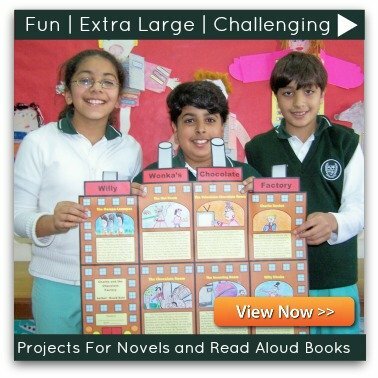 Are you looking for fun reading and creative writing activities to use with your elementary school students for Halloween and October? On my Halloween English teaching resources page, you will find a variety of unique language arts activities and lessons plans to use at this spooky time of the year. On this page, you will find lists of books that are great to read during October, unique creative writing templates, reading sticker charts, and fun poetry activities. 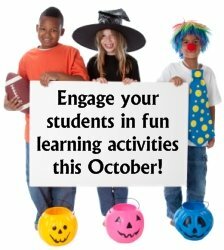 You can use the creative ideas and examples that are on this page to help you plan engaging language arts activities for your students to complete during the month of October. 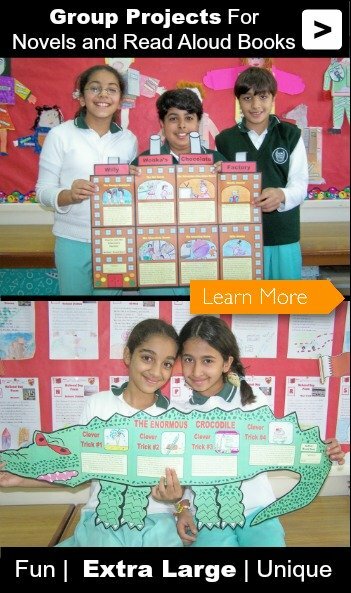 Click here to go to Halloween English Teaching Resources page. 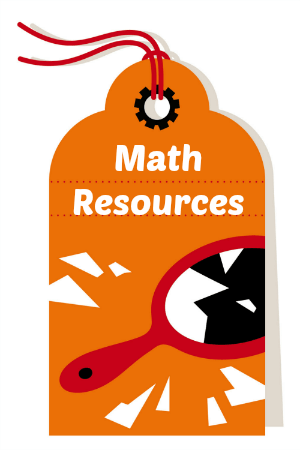 On my Halloween math teaching resources page, you will find unique math lesson plans and activities for solving addition and subtraction equations, word problems, and powerpoint lessons. I hope that you find the math lesson plans on this page unique and that your students will be engaged, instead of bored by traditional drill and practice math worksheets. On this page, you will find a math activity that you can integrate with your English lesson plans based on the book Where the Wild Things Are by Maurice Sendak. This fun Monster Math activity could be done anytime of the year, and not just at Halloween. 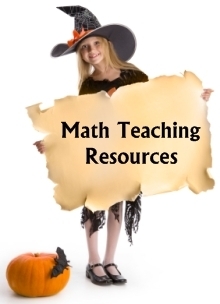 Click here to go to Halloween Math Teaching Resources page. 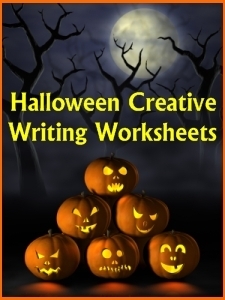 On my Halloween printable worksheets page, you will find blank worksheet sets that you can use for creative writing lessons. These colorful stationery sets include matching bulletin board display banners that will help you to decorate your classroom bulletin board displays. 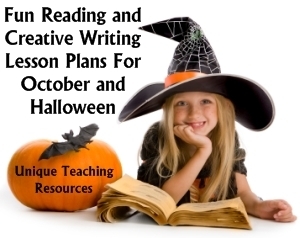 Students love to write spooky or scary stories, so the month of October is a great month to focus on fun creative writing ideas. 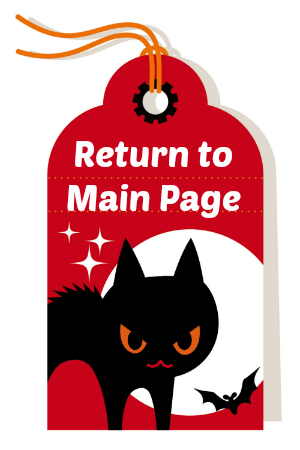 On this page, you will find Halloween worksheet sets that contain the following themes: witch, ghost, pumpkin, skeleton, cat, tombstone, and a haunted house. 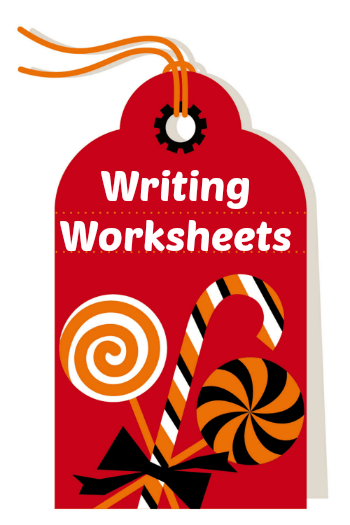 Click here to go to Halloween Printable Worksheets page. On my Halloween bulletin board displays page, you will find teaching resources that will help you to decorate your classroom during October. 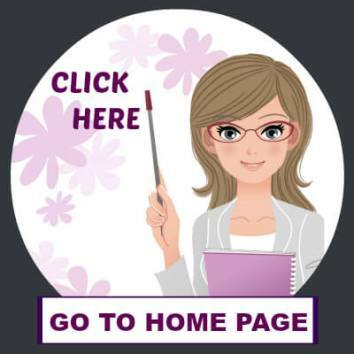 On this page, you will find bat and pumpkin shaped sticker charts that will help you to motivate your students to accomplish a goal that you set for them. 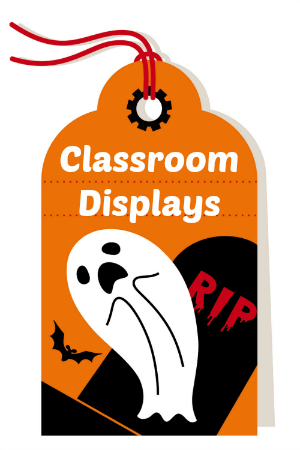 These unique sticker charts will help you to quickly create a colorful Halloween bulletin board display in your classroom that will capture everyone's attention. 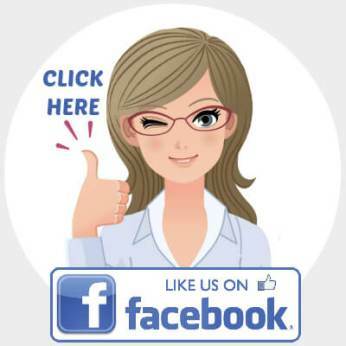 On this page, you will also find fun puzzle activities to use as warm up activities, or for children to complete after they have finished their class assignments. I hope that these Halloween teaching resources will help you to create an engaging and spooky environment inside your classroom! 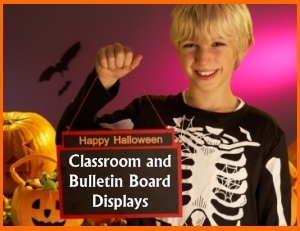 Click here to go to Halloween Bulletin Board Displays page.